Piedāvājam iegādāties Philips 27" monitoru ar FHD 1920x1080 izšķirtspēju. Image quality matters. Normal monitors provide a certain level of quality, but you certainly expect more. 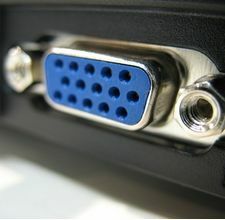 This monitor offers an improved Full HD resolution of 1920 x 1080. Full HD resolution provides detail clarity, which combined with a high level of brightness, unbelievable contrast and natural colors, makes the image stunning with realism. SmartImage is the latest, exclusive technology from Philips, which analyzes the content displayed on the screen and provides optimized display performance. This user-friendly interface allows you to select various modes such as Office, Photos, Movies, Games, Saving etc. to match the application you are using. Based on this selection, SmartImage dynamically optimizes the contrast, color saturation and sharpness of photos and videos to ensure the best display performance. The Saving mode saves energy. And all this in real time at the touch of a button! The SmartErgoBase base allows ergonomic use of the monitor and organizing the cables. The possibility of adjusting the height, rotation angle and inclination of the base ensures comfort during work throughout the day and muscle tension. The system for organizing wires reduces clutter on the desk and helps maintain order. The display is equipped with two built-in high quality stereo speakers. They can be located at the front, bottom, top, back, etc., depending on the model and design of the device. The Super Speed USB 3.0 standard provides data transfer at the level of 5.0 Gbps, which is 10 times faster than in the case of the USB 2.0 standard, significantly shortening the copying and transferring of data, thus saving time and money. Thanks to higher bandwidth, very fast data transfer, better energy management and overall excellent performance, the USB 3.0 standard revolutionizes the electronics industry around the world and allows the use of large capacity storage devices. Sync-N-Go technology ensures faster performance without waiting for bandwidth to be released. Investments made in hardware compliant with the USB 2.0 standard remain safe because the technology is backwards compatible. TCO Edge certification is granted to products that meet the requirements stricter than those set by current environmental programs. In addition to the standard TCO requirements, this certification requires, inter alia, that the product consist of at least 85% plastic from post-consumer recycling, energy-saving, contains a minimum amount of hazardous substances, its packaging 100% recyclable, and the product was created under for easy recycling. This Philips monitor is the best-in-class product using state-of-the-art technology, which translates into benefits for the user and the planet and helps to make ecologically responsible computer equipment purchases!